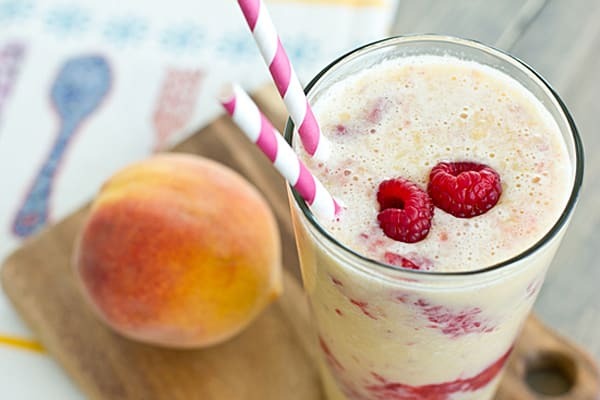 A delicious smoothie with the goodness of peaches and raspberries. Ideal for summer or as a breakfast smoothie. 1. Add all the ingredients to a mixer jar. 3. Pour into chilled serving glasses. 4. Garnish with a raspberries on top. Feel free to comment or share your thoughts on this Peach Melba Smoothie Recipe from Awesome Cuisine.